Slam Dunk Festival have announced the first wave of bands for its 2019 edition along with some major changes. NOFX, New Found Glory, Waterparks, Story Of The Year, Mad Caddies, Silverstein & Gallows (!) will be joining headliners All Time Low on the 25th & 26th May 2019. After the huge success of Slam Dunk’s move to Hatfield House last year, the festival has also announced plans for a new site for Slam Dunk North, moving to Leeds’ Temple Newsam Estate. 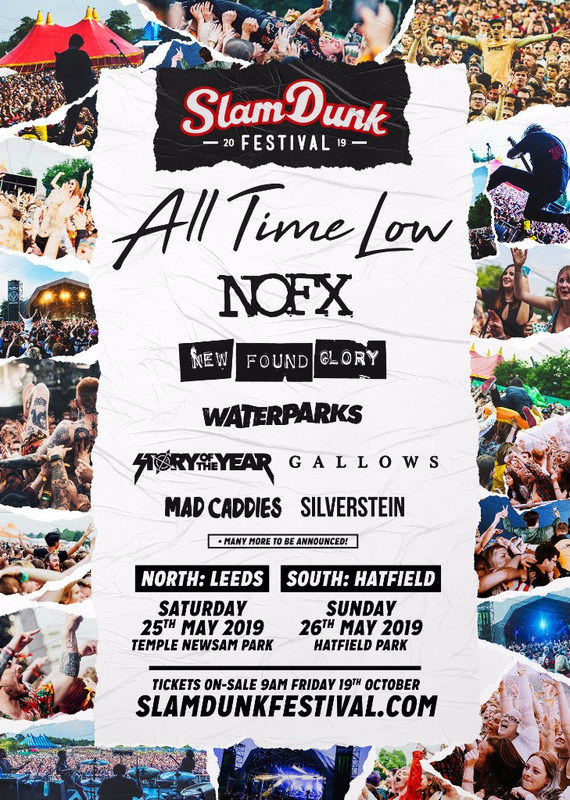 Sadly this means no more Slam Dunk Midlands (you will be missed) but bigger sites mean even more pop-punk fanatics can make their way to the definitive date of the alternative diary.